Ogoh-ogoh parade before Nyepi Day 2015 will take place on March 20, 2015. Ogoh-ogoh 2015 will take place very lively. Because Nyepi Day this year is on the political situation is very conducive. The success of the parade and performances ogoh-ogoh is associated with the political situation in Bali. 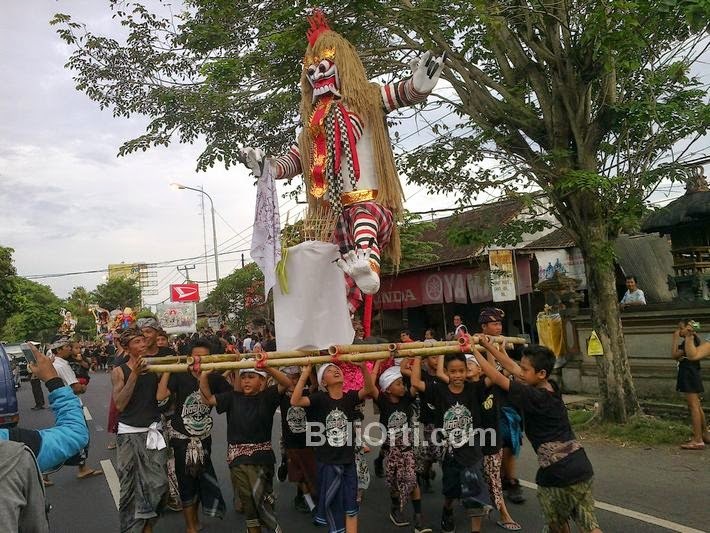 Although ogoh-ogoh is part of the culture and the arts, but in fact ogoh-ogoh in Bali often be used as a means of campaigning by political leaders and political parties to improve the image and increase the popularity. Ogoh-ogoh 2015 will take place in a safe and controlled. Because this year the political situation is going well and safe. Ogoh-ogoh is part of the tradition and ritual before Nyepi Day in Bali. With the development of social life in Bali as well as the level of economic development of the people in Bali, designs, shapes, sizes and colors on each ogoh-ogoh increasingly large and attractive. The Government appreciates the good wishes Balinese young people who want to make a parade of ogoh-ogoh with great fanfare that accompanied the contest. Some local governments provide funding to youth groups in order to make ogoh-ogoh bigger, more attractive, with high artistic taste. Ogoh-ogoh 2015 to a unique tourist attraction and appeal to foreign tourists. 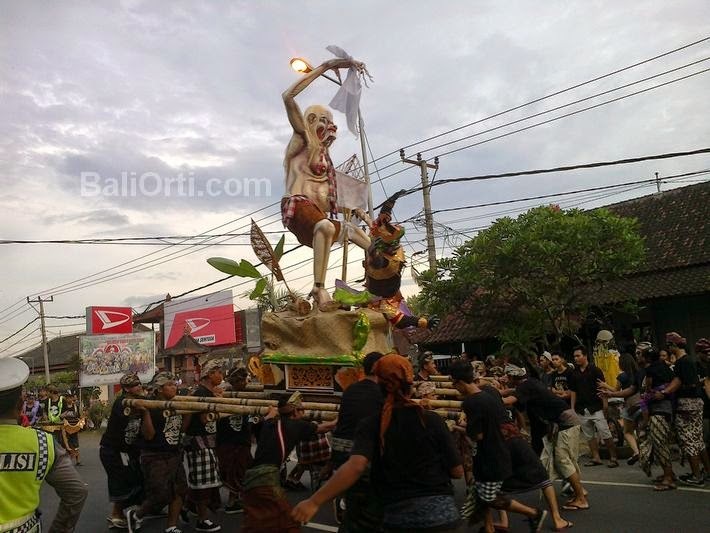 Usually the tourists who have known Bali, will come back to Bali ahead of ogoh-ogoh parade. Because ogoh-ogoh parade is a typical tourist attraction owned by residents of Bali and the identity of the arts and traditions that have evolved since time immemorial. Nyepi Day takes place every year in Bali. Nyepi Day is the Balinese New Year, based on the Balinese calendar. As held by the Chinese with the Chinese New Year, the Balinese New Year and also has its own calendar system. Balinese New Year called by Nyepi is celebrated by stopping all human activities for one full day and one night. Nyepi is known as Balinese Silent Day. The days without a loud voice, without a vehicle, without the light of the lamp, without fire, without work, without activity. When Nyepi, Bali island became very quiet and calm. Nyepi is also referred to as the natural cleansing of pollution. Balinese calendar called Saka year. On Nyepi Day when people refer to the Saka new year. Saka year in Bali is calculated based on the rotation of the moon around the earth.